Peak baggers in Scotland have the Munros – the high peaks over 3000 feet (910 metres) in elevation. In response Bill Wilkinson devised the Tasmanian Abels – the high peaks of Australia’s mountainous southern isle over 1100 metres with a distinct fall of at least 150 metres on all sides. 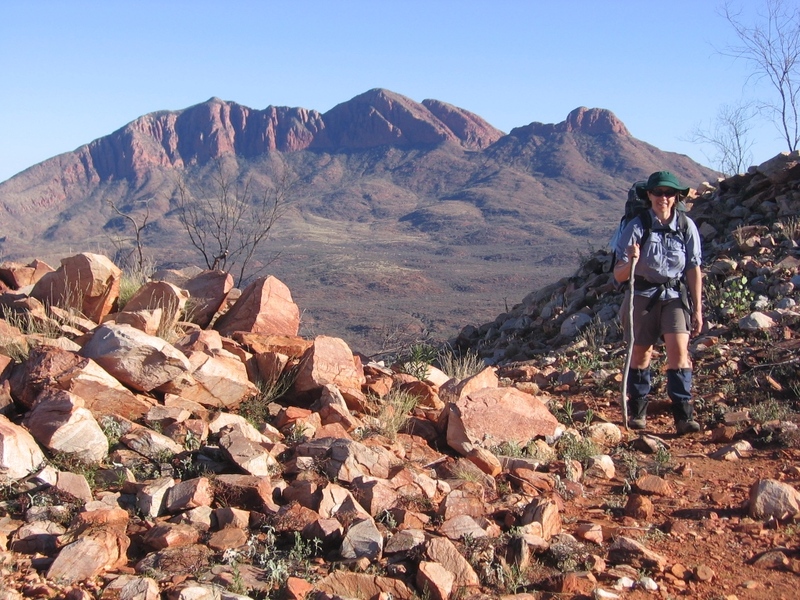 And now, the Northern Territory has the McDoualls – the high peaks over 1000 metres in elevation with a distinct fall of at least 150 metres on all sides. Read more. This entry was posted in Uncategorized and tagged abel, mcdouall, mcdoubtful, munro, nt, peak bag. Bookmark the permalink. THE MCDOUALLS: What a great idea, and what a huge effort Michael has put into collating all this information. It deserves to be widely disseminated amongst bushwalkers. It makes me want to spend a few months in the Centre visiting as many of these McDoualls (and McDoubtfuls) as possible. The Google Earth map, descriptors and additional information make them easy to locate. I’m glad to see that the peak on the NE corner of Ormiston Pound has an unofficial name (Corner Peak) – most apt (though prosaic! ), a good descriptive name and much better than having to refer to it as Peak 1307 Metres.